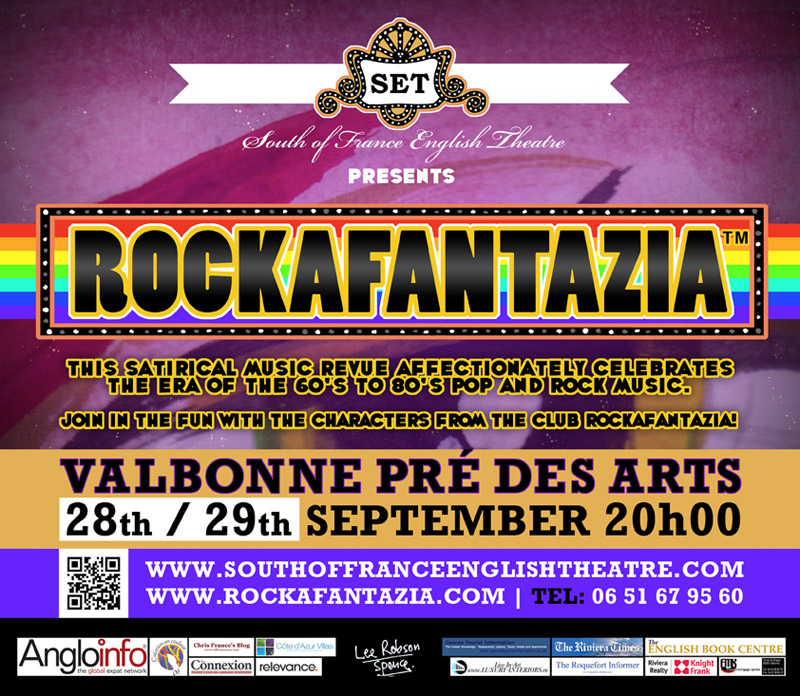 ROCKAFANTAZIA hits Valbonne – Open Air! 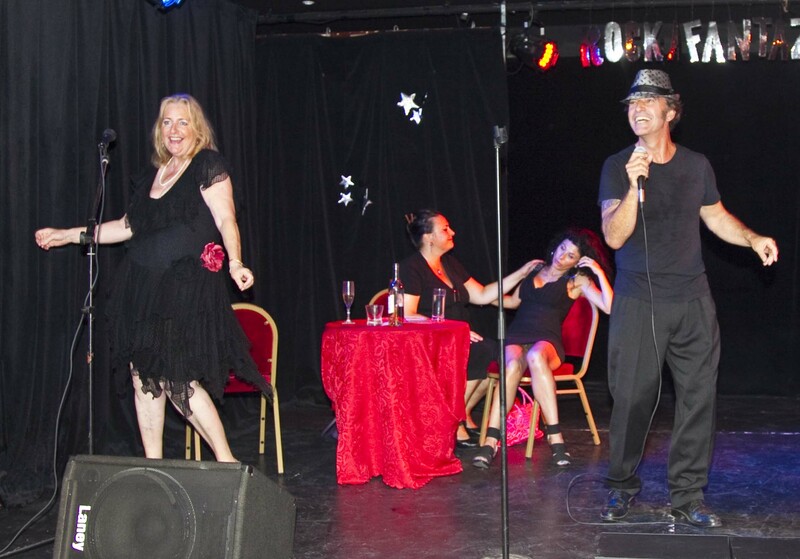 Join Club ROCKAFANTAZIA in Valbonne next Friday 31st August with the unique spoof music revue from SET South of France English Theatre. ROCKAFANTAZIA will perform for one night only, open air next to the Church (by the Mairie) and everyone is welcome to join in the fun and ‘Dancing in the Street’ to legendery hits of the 60’s to 80’s with buffet and bar ! Starring David James Easter, John Tebb, Frances Wilson and Lizzie La Lewis . Not to be missed. ! Book Now ! Tickets: €12 for Adults; SET Members €8 with free glass of wine/beer, children under 10 years have free entry. Bar: (wine and beer) for €3 per glass. 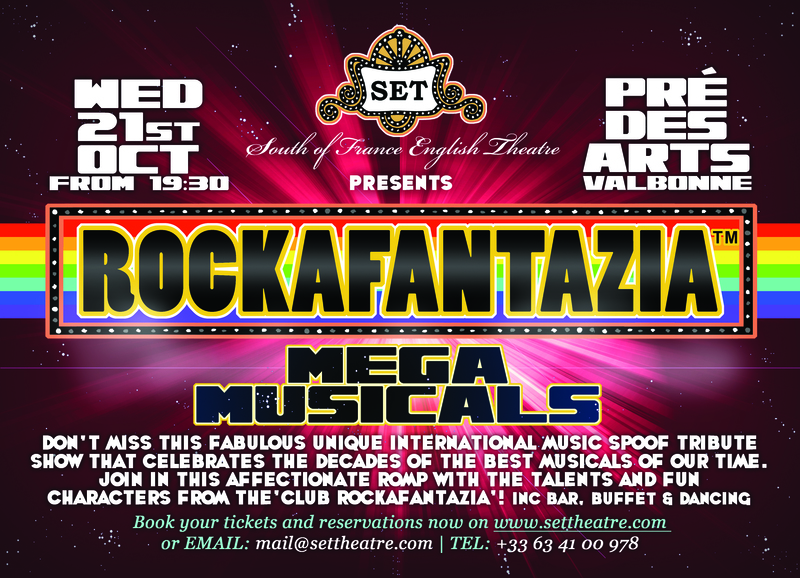 Call 06 51 67 95 60 for further details or www.southoffranceenglishtheatre.com, www.rockafantazia.com for tickets and reservations.